Companies are continuing to seek better & faster ways of getting things done. AIRCO is your partner in success, streamlining your solutions in a way on which you can rely. AIRCO has over 25 years of experience from veterans in the Transportation Industry and International Air Cargo Industry. Our Supervisors are well versed in all facets of logistics services and deeply involved in daily operations. Commitment to the ongoing growth of knowledge is the key to our team. As a forward thinking company, we look to growing and strengthening our loyal customer base. Looking to the future, our goals will be accomplished through hard work from our passionate and harmonized team dedicated to serving our customers' needs. 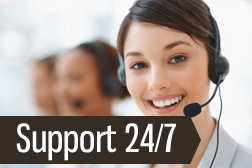 A partnership with AIRCO provides you with around the clock support, immediate and constant communication. AIRCO is committed to the most up-to-date technology. Each shipment is monitored via GPS tracking system to ensure On Time schedule of pickup and delivery. AIRCO offers track and trace abilities to our customers. We understand how important it is to know where Your Freight is at all times. AIRCO is also EDI capable to ensure streamlining your invoicing process.